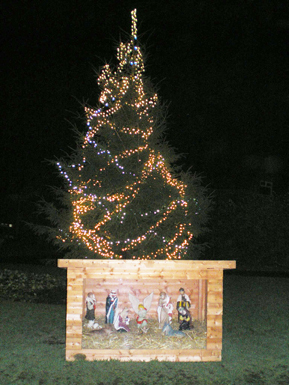 Biddulph Moor Christmas Lights Switch On Saturday 5th December, festivities start at 4.15pm, and the tree will be lit at 5.30pm. There will be carol singing, live music, hot food, stalls, a barbecue and of course a visit from Santa. It will all take place in the centre of the village, by The Green, at the top of Woodhouse Lane. A warm welcome is extended to all.